FTH Series is a flanged style dry slide bushing. The FTH is a composite structure consisting of a carbon steel backing, an intermediate layer of sintered bronze and a PTFE based sliding lining. Available in inch and metric sizes. The Dryslide trademark identifies a whole range of self-lubricated dry sliding bearings. A composite structure, FTH consists of a carbon steel backing, an intermediate layer of sintered bronze, PTFE/fibre mixture sliding lining. 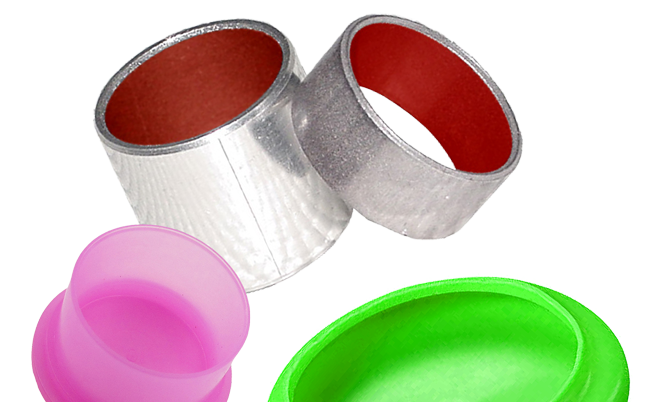 The main items in the FTH range are the wrapped cylindrical bushings (DIN 1494) and the flanged cylindrical bushings. Moreover, the range also includes thrust washers, strips and special parts made to customer specifications. From a technical point of view, the product is already widely known and new applications are constantly being identified to take advantage of the high load capacity, the self-lubricated feature and the excellent ratio between cost and performance of the whole range. 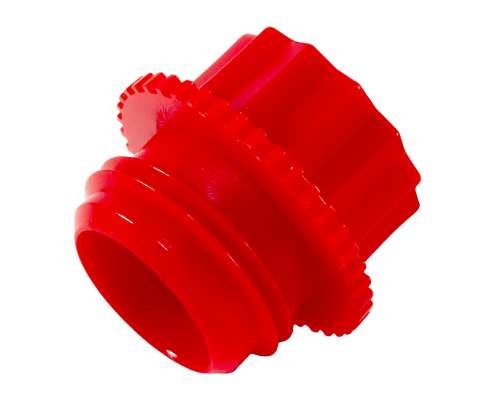 The FTH bushing is suitable for dry running applications. It possesses good wear properties as well as a low coefficient of friction that will extend the life of your application. It can be used in both rotary and oscillating applications. Other features include high chemical resistance, low water absorption and swelling. The FTH bushing will also perform well with lubrication. 1. PTFE fibres mixture 0.01-0.03mm, lead free: provides an excellent initial transfer film, which effectively coats the mating surface of the bearing assembly, forming an oxide type solid lubricant film. 2. Sintered bronze powder 0.20-0.35mm: provides maximum thermal conductivity away from the bearing surface, also serves Dryslide structural detailas a reservoir for the PTFE-lead mixture. Can meet the demanding criteria for long life and trouble-free performance with or without lubrication.